"Let us organize outer life in our domain: form, color, light." 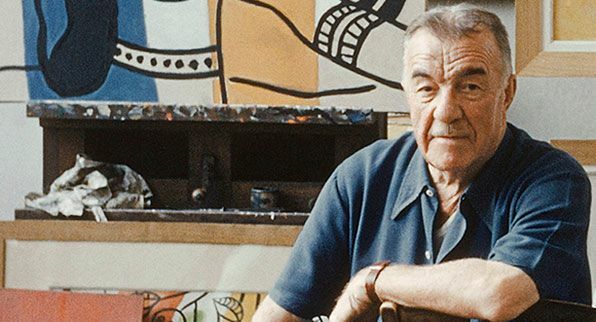 Though Fernand Léger built his reputation as a Cubist, his style varied considerably from decade to decade, fluctuating between figuration and abstraction and showing influence from a wide range of sources. 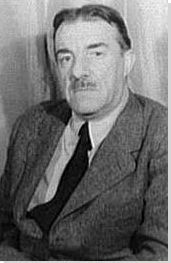 Léger worked in a variety of media including paint, ceramic, film, theater and dance sets, glass, print, and book arts. While his style varied, his work was consistently graphic, favoring primary colors, pattern, and bold form. Léger embraced the Cubist notion of fracturing objects into geometric shapes, but retained an interest in depicting the illusion of three-dimensionality. Léger's unique brand of Cubism was also distinguished by his focus on cylindrical form and his use of robot-like human figures that expressed harmony between humans and machines. Influenced by the chaos of urban spaces and his interest in brilliant, primary color, Léger sought to express the noise, dynamism, and speed of new technology and machinery often creating a sense of movement in his paintings that captured the optimism of the pre-World War I period. In its embrace of recognizable subject matter and the illusion of three dimensionality interspersed with or often simultaneous with experiments in abstraction and non-representation, Léger's work synchronizes the often competing dualities in much of 20th-century art. “I was stunned by the sight of the breech of a 75 millimeter in the sunlight. It was the magic of light on the white metal. That's all it took for me to forget the abstract art of 1912–13” Léger famously said of his experience serving in World War I. He went on to pioneer his distinctive visual idiom, painting “in slang with all its color and mobility” to take on a modern vibe. Interactive chart with Fernand Léger's main influences, and the people and ideas that the artist influenced in turn. First published on 05 Apr 2014. Updated and modified regularly.